20 years from now, the airport ecosystem will be completely transformed to the point that it will be unrecognizable to today’s travellers. The extent of innovation and automation will make it far more efficient and advanced than we can currently imagine. Although some of the technologies that will be in use by that point have not even been invented yet, many of them are already available. Like any industry, the key to a comprehensive improvement is working together more closely to satisfy the needs of the customer—in this case, the passenger. According to recent research, 43% of people who travel said they miss the “wonder and magic” traditionally associated with air travel. This attestation to the fact that airports have lost much of their glory is due in large to inefficiencies, unnecessary protocols, and outdated practices in a fast-moving world. The nostalgia that survey participants referred to is based on the majestic feeling of being surrounded by advanced technological processes. Thus, there is an opportunity to reignite the romanticism of air travel through digital transformation. Mini-city airport: This is a place that is completely self-sufficient, hence the name. You can find everything you need here, including several types of services you may not find in smaller airports. City-extension airport: A place that is well-integrated into its urban surroundings as an addition rather than a stand-alone unit. Mall airport: As the name suggests, this is a place that’s full of retail stores of all kinds–so many that people who are not even flying come to shop. Walkway airport: This is a minimalistic approach designed for quick stopovers that doesn’t accommodate many additional interests. Bus-station airport: This is the most straight-forward air travel terminal with no extra services offered that are not completely necessary. With all plans set, even the most basic of airports can still optimize through digital technologies. Afterall, efficiency is key in all five of these models. However, the opportunity to satisfy customers should never be overlooked. A bare-bones airport service simply isn’t enough anymore. In today’s quickly evolving world, air travel should offer all the comforts of the outside world from end to end. We’ve already seen airlines take major strides in terms of what they offer on the airplane. Wi-Fi on board is becoming the norm, as well as on-demand entertainment, games, automated check-in counters and easy access to detailed flight information right from your seat. There’s plenty of room for improvement in the average airport experience, however. Namely, many airports lack a modern level of efficiency that can only be provided through automating key processes. Forward-thinking airlines can pioneer these processes which include things like logging and documentation, employee collaboration through uniform software, real-time data analysis, information sharing among teams, and everything between—not to mention customer-facing technologies. In addition to an overhaul of outdated practices, new services should be offered in the airports of tomorrow, including a wider variety of retail and entertainment options right on location. Research has shown that traditional travel retail has become stagnant in the eyes of travellers. Passengers expect to be able to dine well, but offering more options to the potentially bored to tears travellers who have a lengthy layover is a golden opportunity, not to mention lucrative. Travellers have stated that they are willing to pay more for additional services, which should be interpreted as an all-out demand. A whopping 72% of air travellers are displeased and unsatisfied with their overall experience. This is due in large to the lack of services available, but also to the pacing of their journey. Automation and the use of collaborative apps and software speed up processes, which helps passengers along at a steady pace and more time to indulge at the airport—something they will certainly appreciate. Retail is becoming an integral part of air travel every step of the way because passengers prefer to shop while travelling in order to make better use of their time. Just imagine being able to buy gifts from the duty-free store at your arrival airport while still on the airplane and place an order to be ready for pick-up upon your arrival. These kinds of scenarios are not far off. In fact, soon enough they’ll become the norm. That’s why it’s essential to find a technology innovation partner that can make major improvements and provide new services as they are developed and released. A partnership with a digital solutions provider will allow your air travel related business to always have access to cutting edge technology. Automation and digital processes will greatly expedite security procedures. The time saved will not only please the passenger but save the airport a great deal of money—week in, week out. 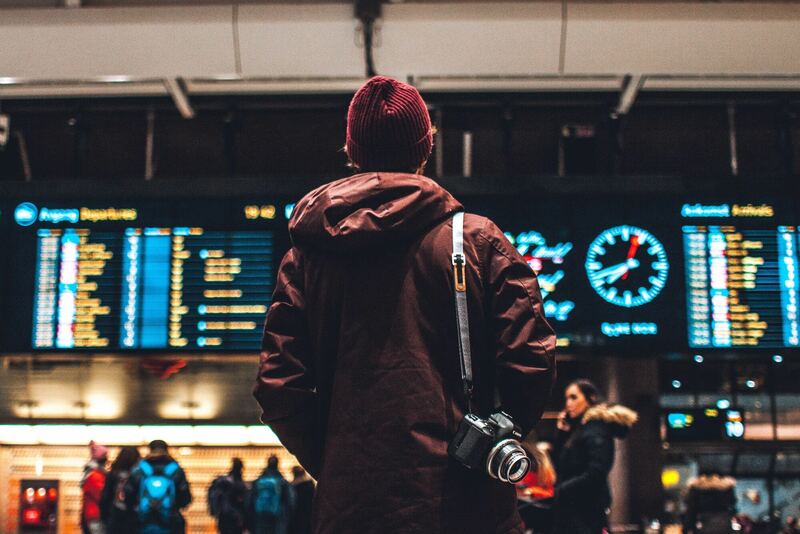 Documentation, protocols, logs, and everything else related to managing, monitoring, and maintaining airport security can be collected into a single dashboard. For all practical purposes it is the ultimate management software, especially compared to sluggish and dated conventional methods. Taking advantage of the services that can be provided by a digital solutions provider is the most essential first step toward a significant upgrade. The two primary ways that you can instantly benefit from this is that operational efficiency can be dramatically improved, saving lots of valuable time and money, and a superior customer experience can be achieved. If your travelers have easy access to the information and tools they need to get from point A to point B, they’ll be much happier and things will run much more smoothly in general. If they can help themselves by quickly and easily viewing the information they need, that also saves time for staff that would have otherwise needed to provide guidance. New Technologies Available for Improving Airport Efficiency and Customer Satisfaction? To be specific there are several tools that are currently being used by the most advanced airports in the world, like Changi in Singapore. You have likely already seen some of these technologies in use, such as biometric ID at immigration or self-service kiosks for check-in and boarding pass printing. All of the above can currently be adopted into any airport ecosystem for full optimization. These business-enabling technologies are the way of the future, and can be expected to be used by more and more businesses and organizations each year. Those that refuse to adopt these blatantly more efficient, more beneficial tools risk falling farther and farther behind as competitors thrive in the new era of digital solutions.